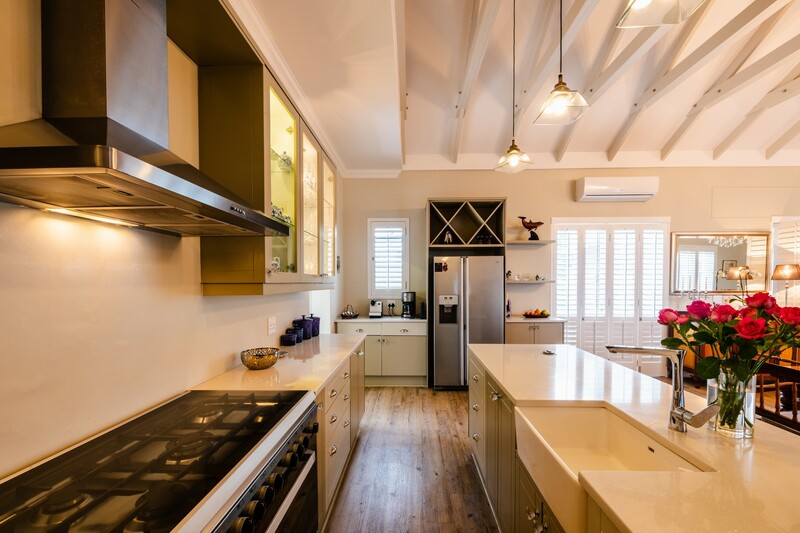 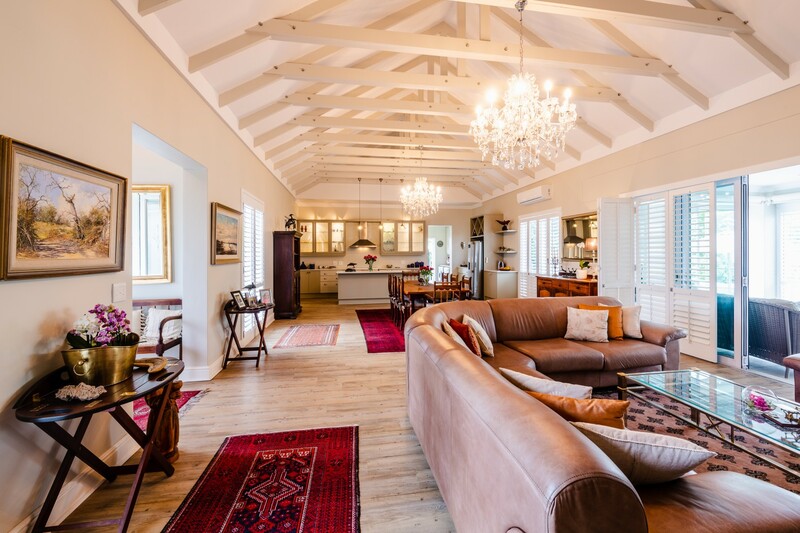 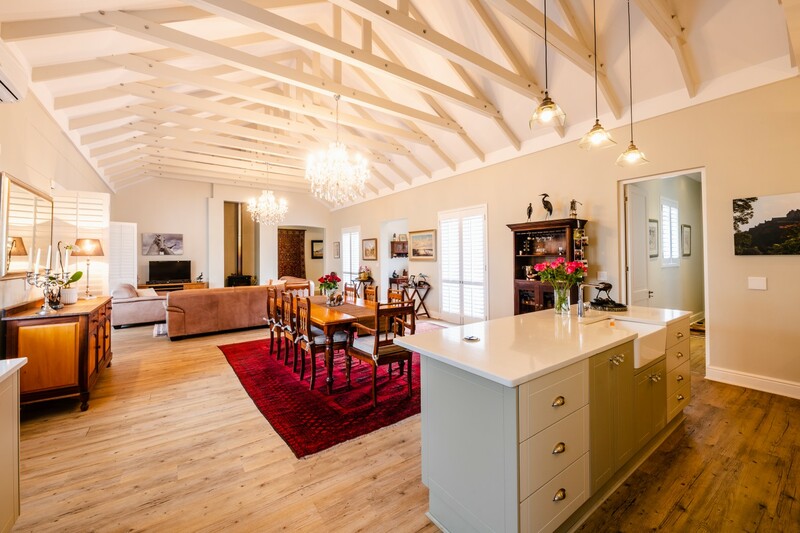 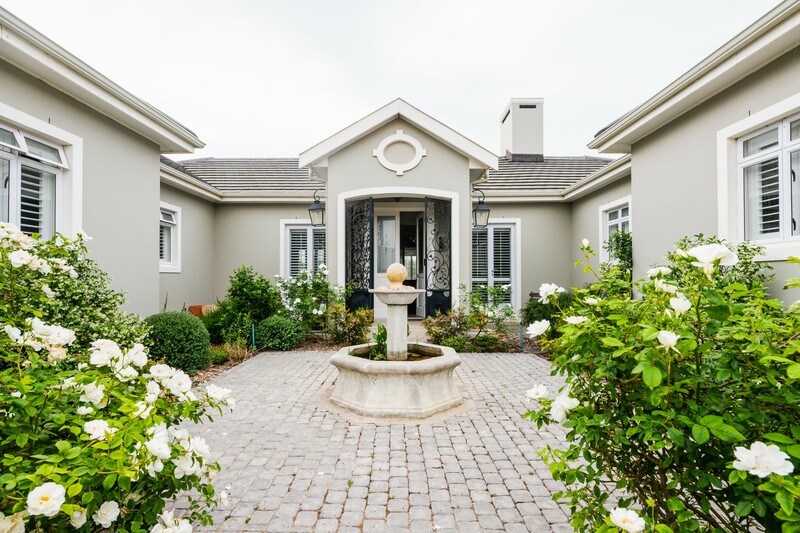 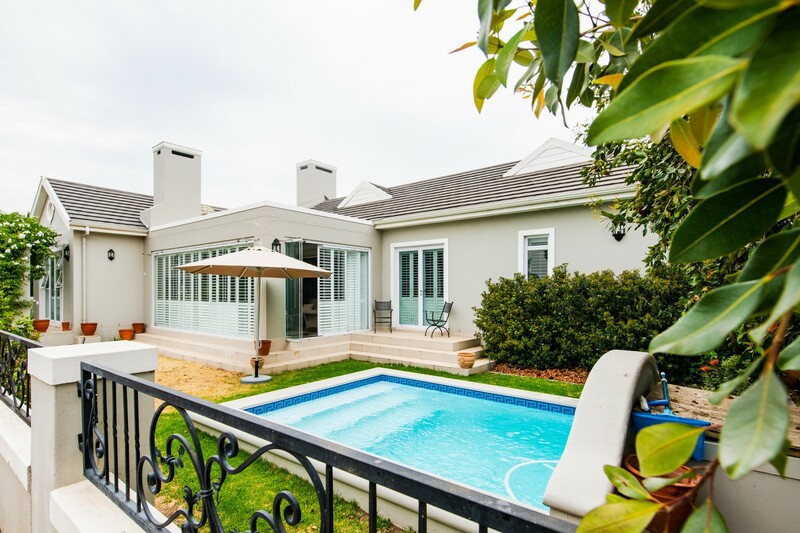 A single storey north-facing four bedroom, four bathroom home overlooking vines and Paarl Rock in the sought-after Val de Vie Estate. 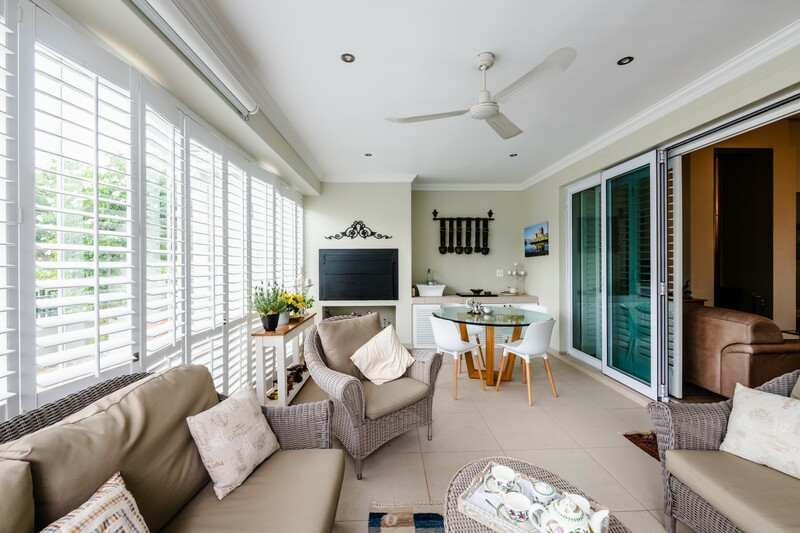 This is the ideal home should you be scaling down but still want space for the family to visit and children to play. 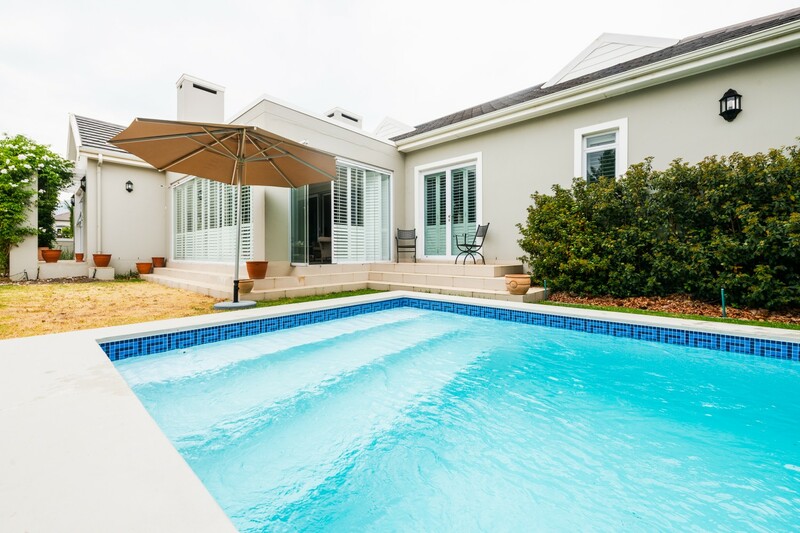 The spacious entertaining areas all lead out to an established garden and sparkling swimming pool. 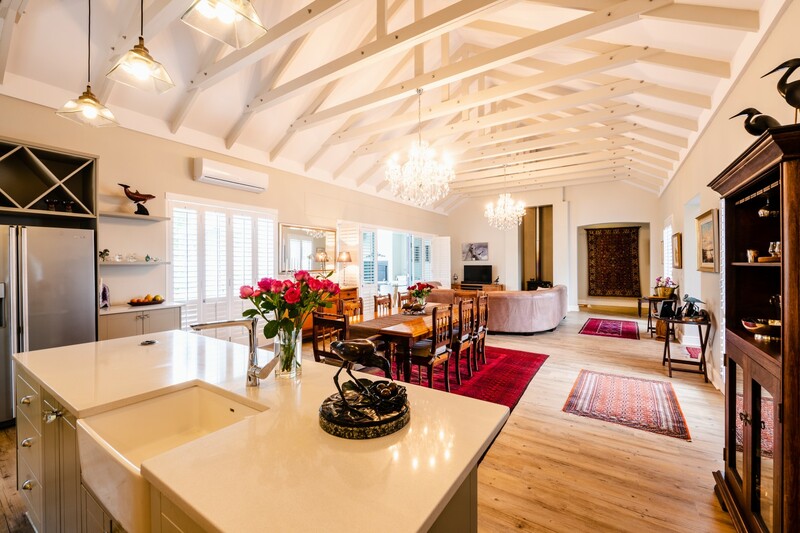 The open plan lounge/dining area has double volume ceilings with exposed rafters opening out to an enclosed patio with built-in braai. 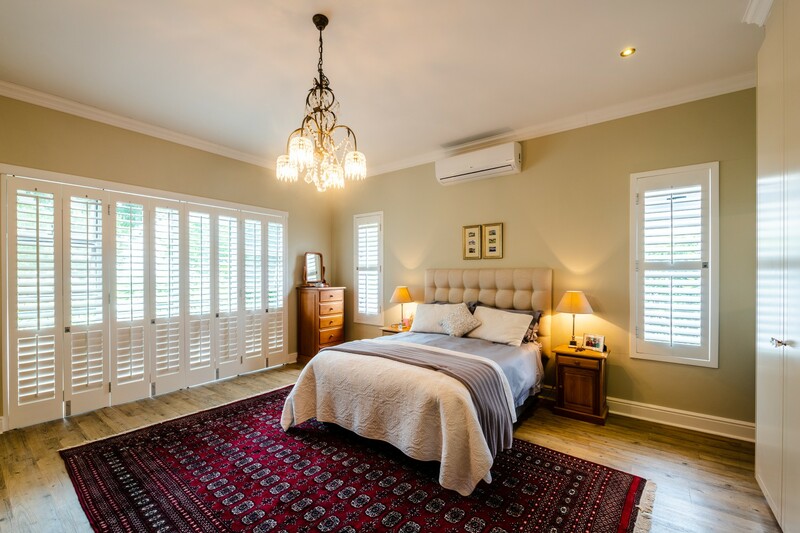 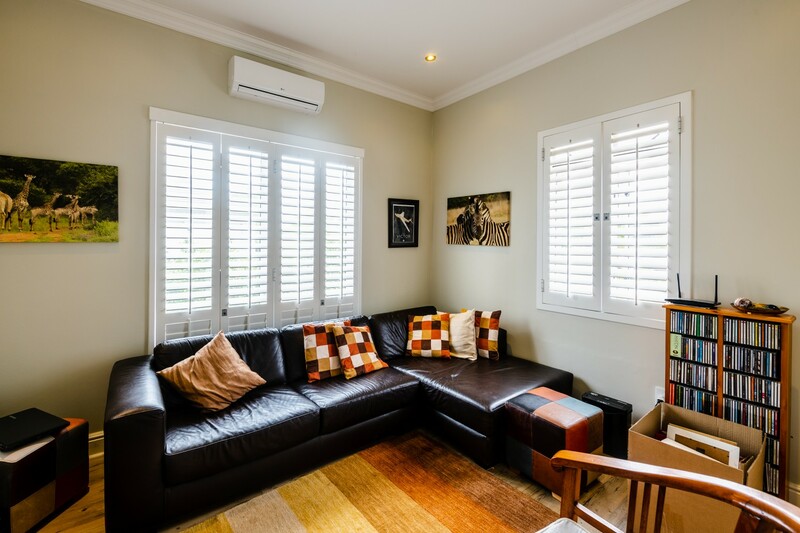 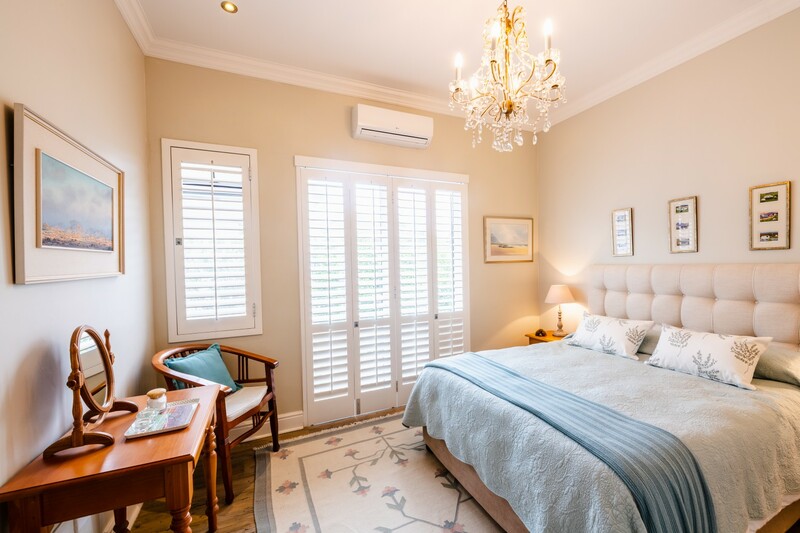 The home has wooden plantation shutters right through which adds to the light, privacy and value of this lovely home. 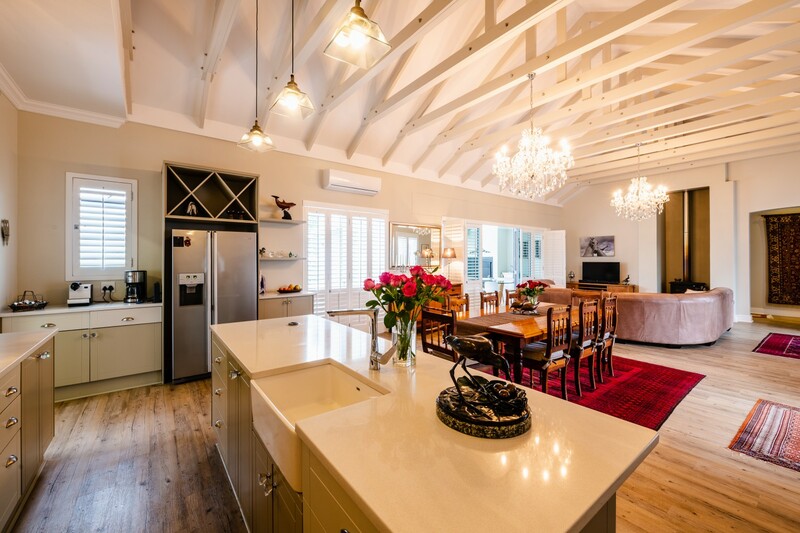 The double garages have access to the kitchen. 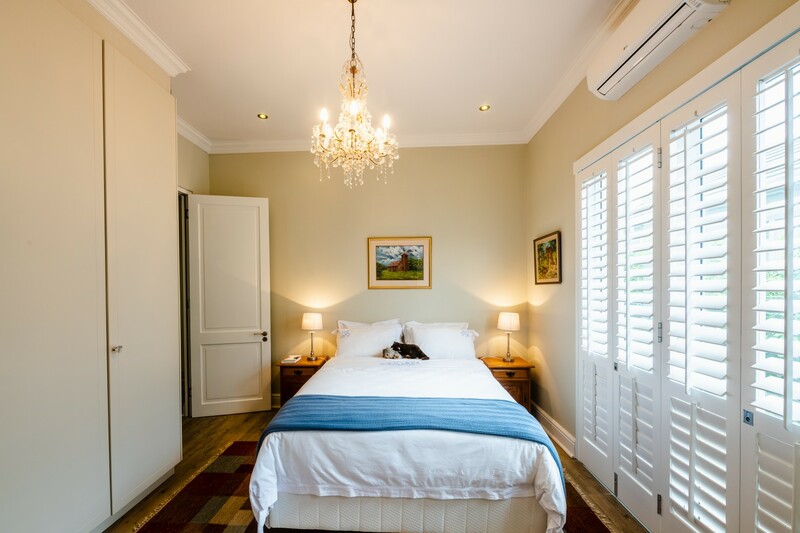 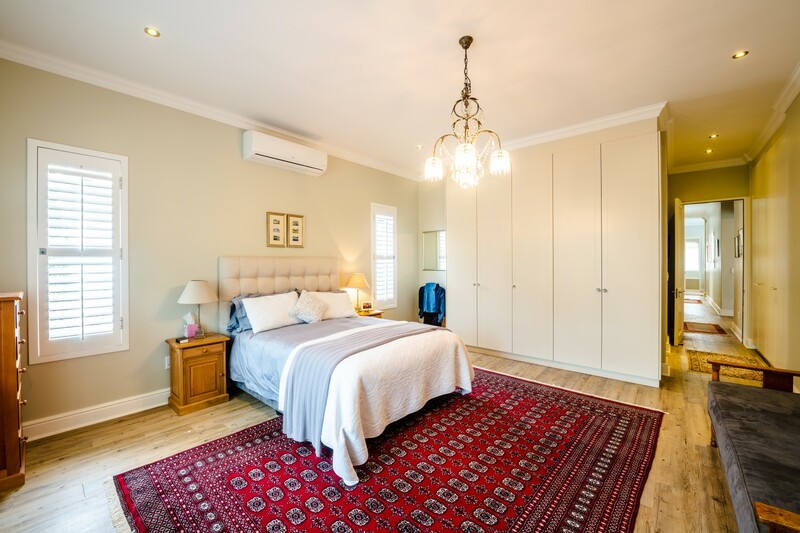 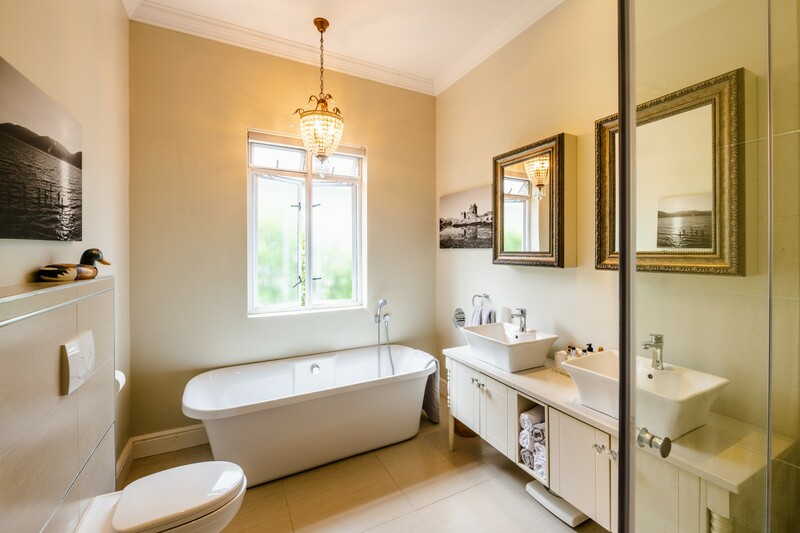 The fourth en-suite bedroom has its own entrance, making it ideal for domestic quarters or teenage pad. 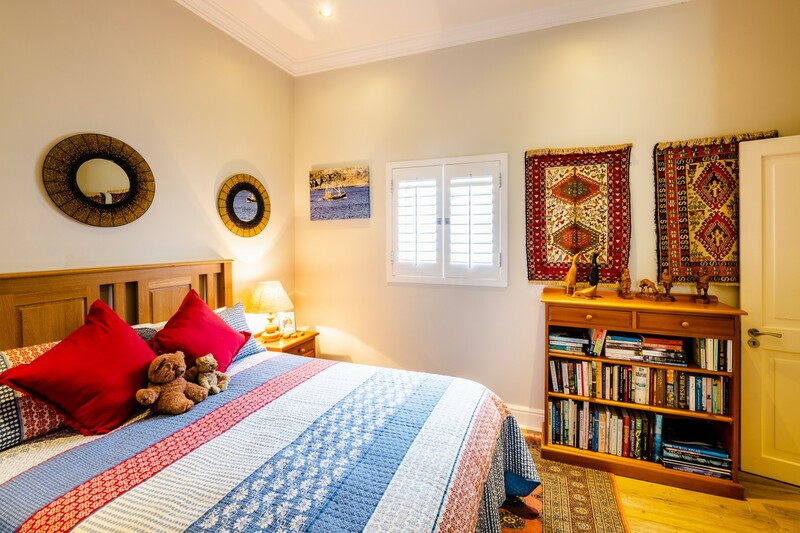 This home is located in a quiet street with a children’s park on its doorstep.